8300 Glenfinnan Cir, Fort Myers, FL.| MLS# 219006169 | Southwest Florida Residential Real Estate for Sale. Panoramic lake to golf course views of the 11th hole on the new Loch Ness golf course at Fiddlesticks Country Club. This 3 bedroom plus den, 2 and a half bathroom home provides exceptional indoor - outdoor living. 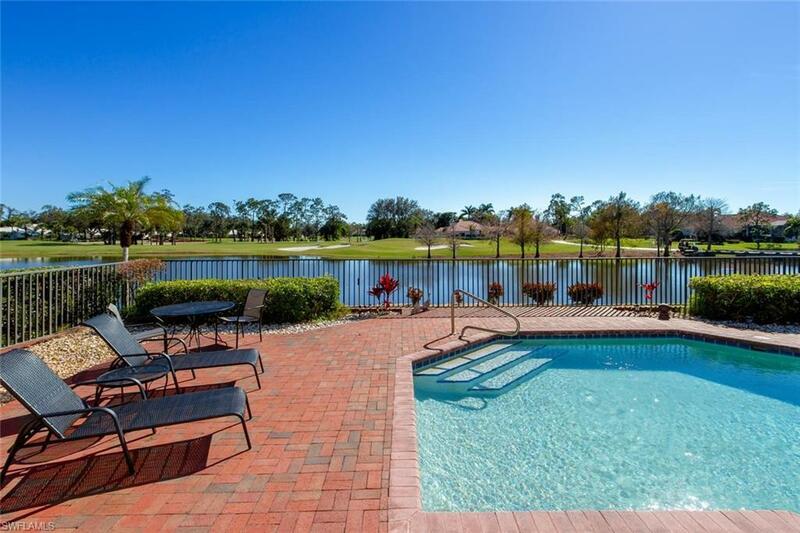 Screened-in lanai opens to large paver pool deck overlooking the lake and golf course. Huge master bedroom features two walk-in closets and a recently updated master bathroom featuring a shower panel with multiple jets, and dual sinks. The kitchen has been remodeled and is open to the family room and informal dining area with large picture window where you will enjoy the fabulous views. Guest bedrooms are oversized with guest bathroom leading out to the pool. This home also features a 3 car garage with a wide driveway. Currently tenant occupied through the end of March. Conveniently located near dining and shopping, including the brand new Whole Foods, Fiddlesticks offers 2 championship golf courses, clubhouse with casual and formal dining, 8 Har-Tru clay tennis courts, new 7, 000 square foot fitness facility, new resort style zero-entry pool with cabana bar and pool-side dining, and many social events throughout the year. No CDD fee! Equity membership due at closing.